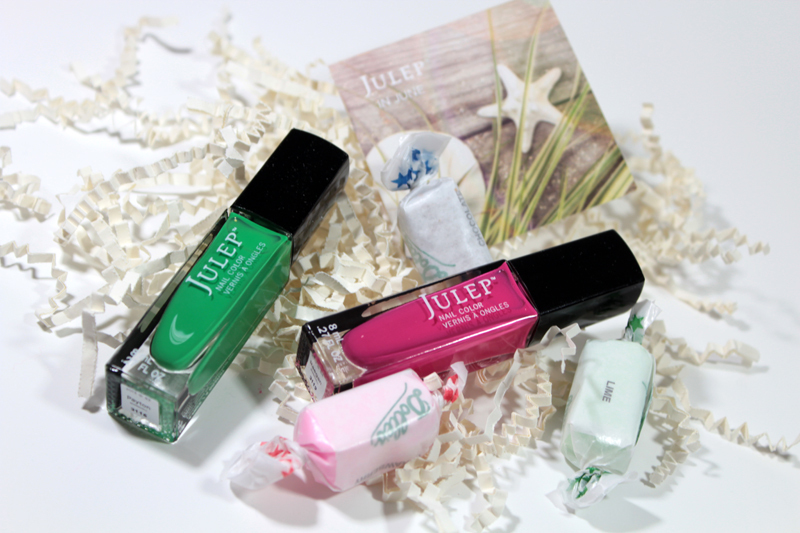 I was surprised to see the June Julep box in my mailbox the other day. 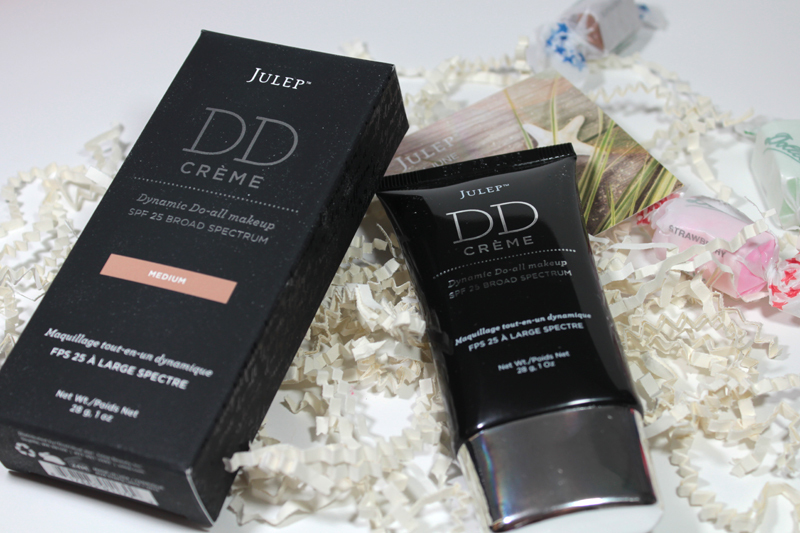 I kind of forgot about it because it arrived a little late this month, however, the blasé demeanor turned into excitement when I remembered the new DD Crème would be inside. I went with the Bombshell box this month because I love the kelly green shade (yes, that's an actual name for a shade of green) and I don't own a lot of green polishes. I was also debating the Boho Glam box because it had a gorgeous dandelion yellow. Side note: how great would the kelly green and dandelion yellow look together in a box? Anyway, both polishes I received are beautiful creme colours. Payton is the gorgeous green (kind of like a light emerald). 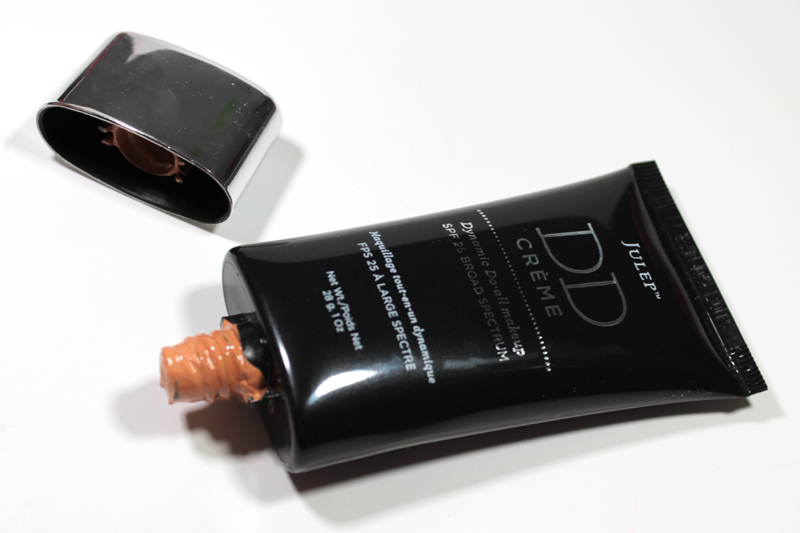 The formulation is very creamy and a little thick, but still applied nicely. Raegan is an electric deep pink. The formulation is a little thinner than Payton, but it's still creamy and easy to apply. Two coats was all I needed and no streaks. The little treat that came in this box were three salt water taffies in different flavours (lime, strawberry, and chocolate). Here's how the polishes look on... I applied two coats of each polish on top of a clear base coat & no top coat. Check out that shine! The exciting part of this box (not that the polishes are aren't) is the DD Crème. DD stands for "dynamic do-all makeup." I'm excited to try it, mainly because of the novelty. I'm sure it's not all that different from other alphabet creams. I'll be doing a separate review on it shortly, but as a first impression... I think the shade I got may be a little dark / orangey for me. That was just based on a swatch though, it may look differently on my face. I got the shade medium, which is the second lightest shade. Another note, when I opened mine, there was a little mess inside the lid & around the nozzle -- did that happen to anyone else? I don't have any Julep polishes, but wow those are shiny without a topcoat! 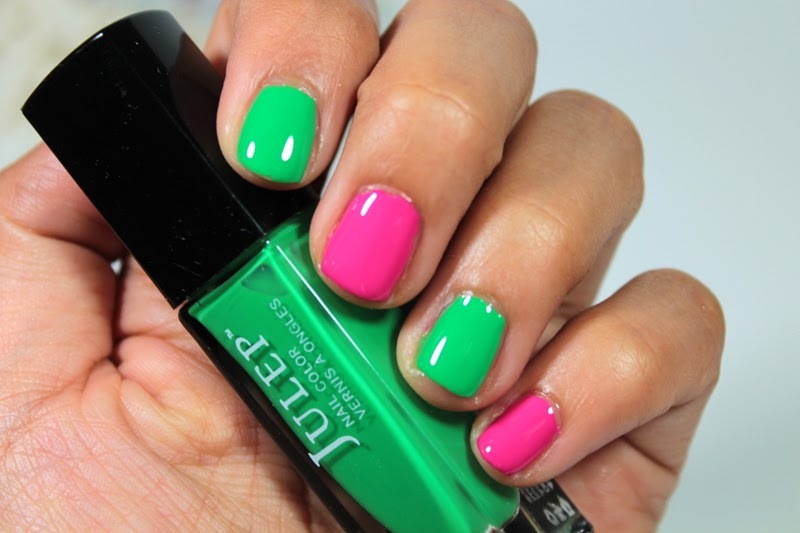 These polishes would be so perfect for a watermelon manicure! My DD concealer had the same problem and had leaked out most of the product! Holy moly those are shiny!! I love salt water taffy this is right up my alley! Awesome green color! Very glossy! I have never heard of a DD!!!! Now need to try it! !